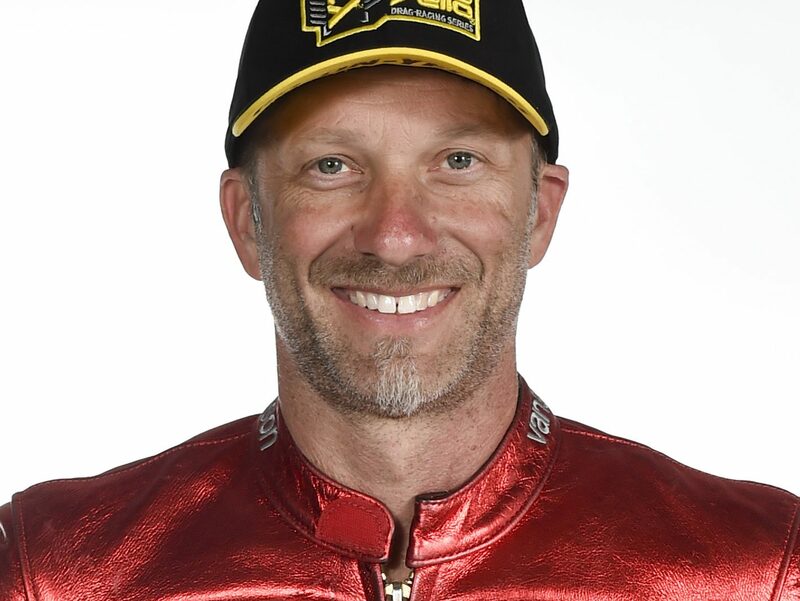 After picking up his first victory of the 2018 NHRA Mello Yello Drag Racing Series season and also his first since 2016, two-time Pro Stock Motorcycle world champion Matt Smith is hopeful it is just the start of a memorable stretch that doesn’t stop anytime soon. Smith showed impressive progress last weekend in Chicago, running strong numbers throughout eliminations to capture his 19th career victory. 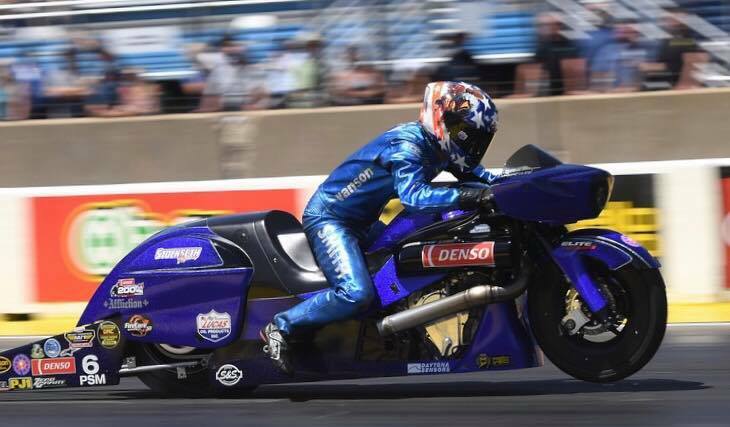 Heading to this weekend’s inaugural Virginia NHRA Nationals at Virginia Motorsports Park with renewed confidence on his Victory Magnum, Smith believes there is a golden opportunity to turn that victory into a solid run this summer. All the stars in Top Fuel, Funny Car, Pro Stock and Pro Stock Motorcycle will try to pick up wins at a race that will be televised on Fox Sports 1 (FS1), including finals coverage beginning at 6 p.m. on Sunday. 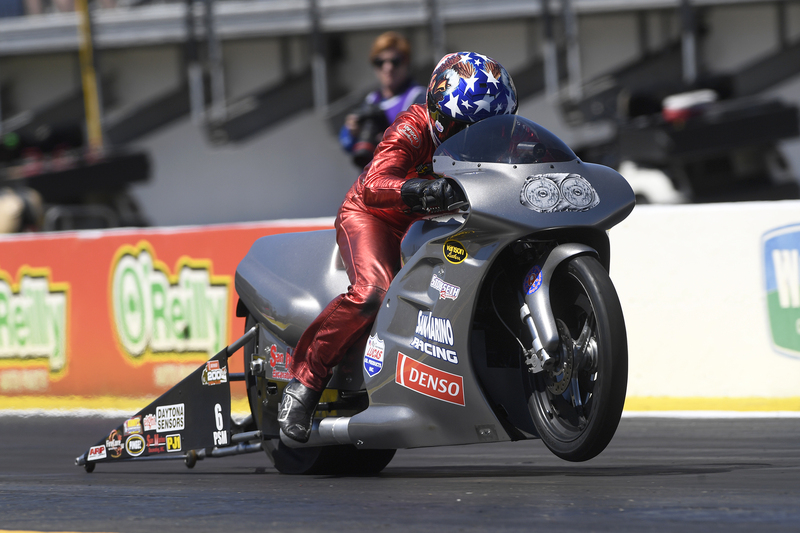 It is the fifth of 16 events during the 2018 Pro Stock Motorcycle season and also marks the category’s first time at the facility since 1998. Smith’s season took a significant positive turn last weekend in Chicago, showing just how far he has come in a short time in 2018. He failed to qualify at the season-opening race for the class in Gainesville, but went to the final quad at the four-wide event in Charlotte and posted the lowest E.T. each round during eliminations in Chicago, capped off by his run of 6.816 at 195.87 mph in the final round to beat LE Tonglet. He also dipped into the 6.70s a handful of times, adding another strong building block to the weekend. The next step is turning that into even more success, both on his bike and the motorcycle his wife, Angie, rides. She is currently 13th in points in a talent-rich class that also includes points leader Andrew Hines, defending world champion Eddie Krawiec, who has two wins this season, Scotty Pollacheck, Hector Arana Jr. and Charlotte winner Jerry Savoie. 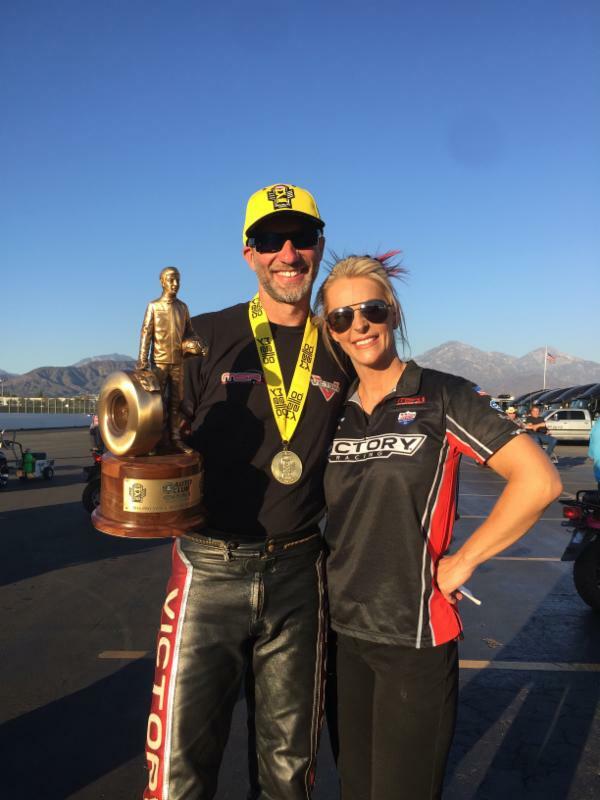 Smith is thrilled for Pro Stock Motorcycle’s first race at Virginia Motorsports Park in two decades, and he would like nothing more than to meet his wife in the final round in the category’s return to the facility. Matt and Angie Smith celebrate an event victory. Top Fuel standouts Tony Schumacher and Doug Kalitta both have wins at VMP, but everyone is hunting points leader Steve Torrence, who has three wins in 2018. Others to watch include Clay Millican, who has back-to-back wins, Leah Pritchett and defending world champ Brittany Force. John Force has four Funny Car wins at the facility, while Cruz Pedregon, who won in Charlotte this year, also has a Virginia victory. But both are chasing Courtney Force, the current points leader who has two wins in 2018. Others to watch include Jack Beckman, Robert Hight and Matt Hagan. Jeg Coughlin and Jason Line have Virginia Pro Stock victories, and Coughlin just won in Chicago to become the eighth winner in nine races in the class. Everyone is trying to track down points leader Greg Anderson, who is also seeking his first win of the year in Virginia. The E3 Spark Plugs NHRA Pro Mod Drag Racing Series presented by J&A Service makes the fifth of 12 stops in 2018 at Virginia Motorsports Park. The event also features thrilling competition in the NHRA Lucas Oil Drag Racing Series, showcasing the future stars of the sport.